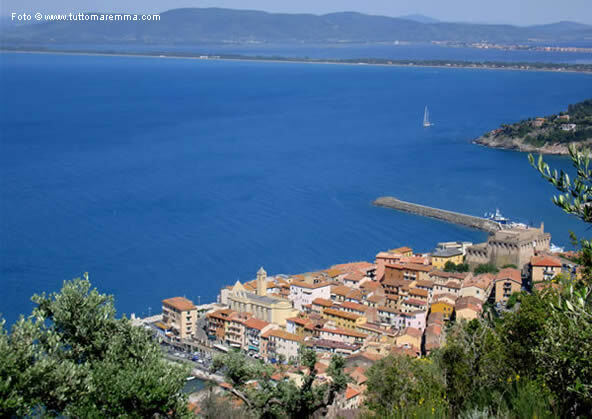 The main seaside village of Argentario. 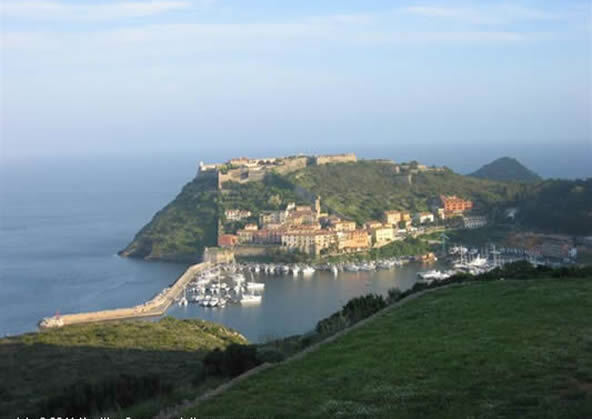 A famous village of summer holidays. 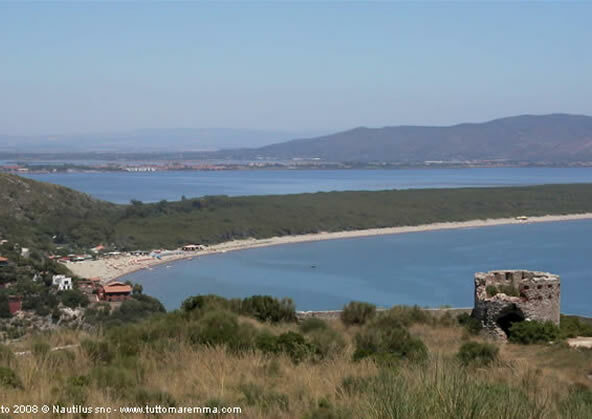 Long beach but also many little beautiful bay. 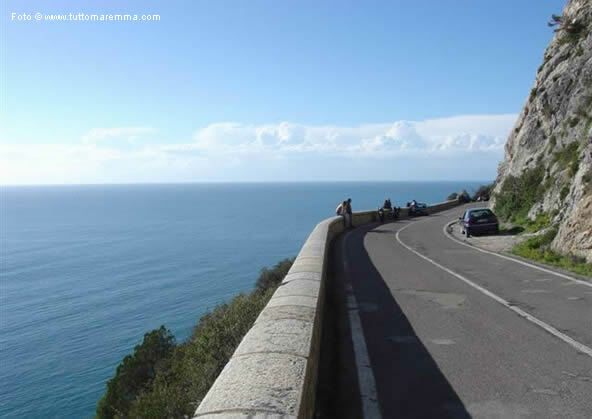 Beautiful road runs along the side of the promontory overlooking the sea. 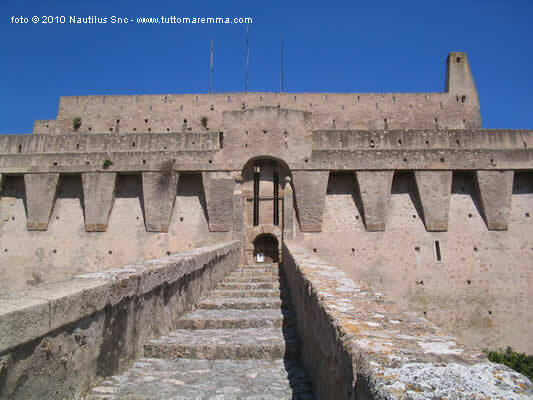 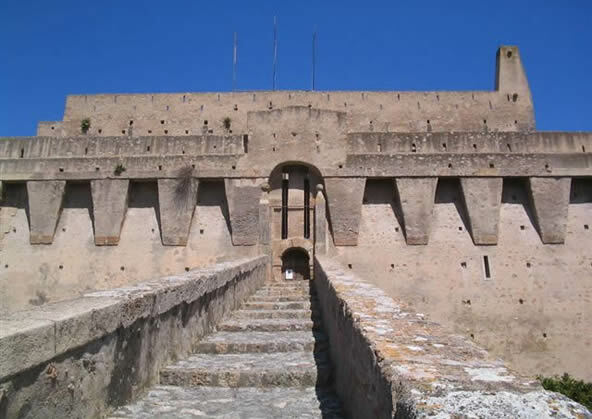 Fortress built for defense in 1400-1500. 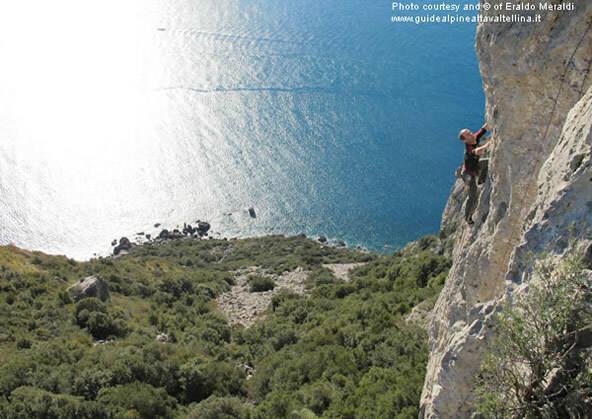 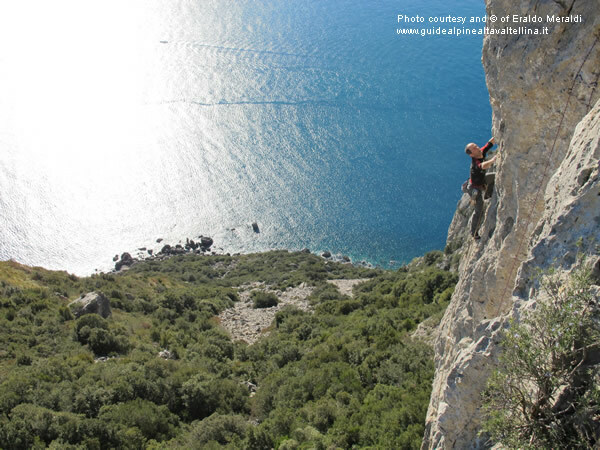 Great cliff overlooking the sea equipped for climbing. On the top there are the ruins of the ancient tower. 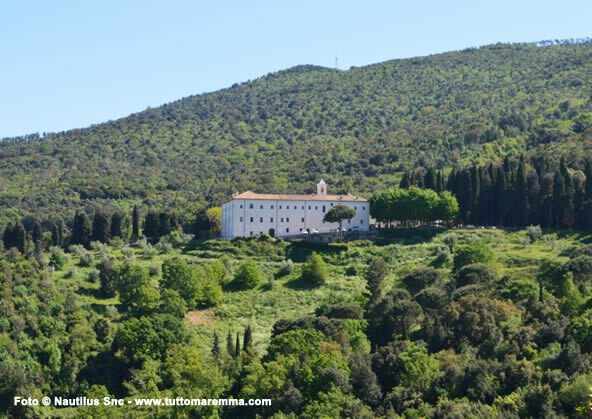 Monastery, little church and summit at 645 meters above sea level. 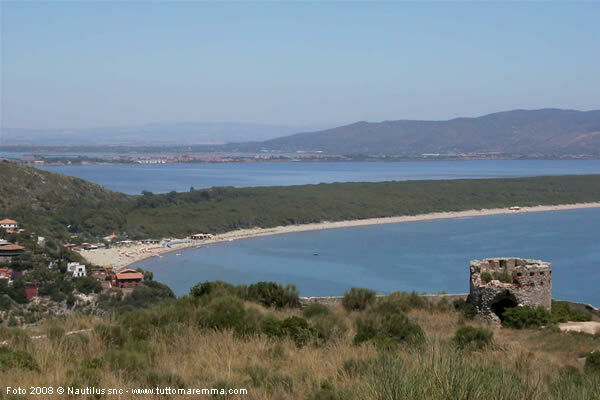 Protected area populated by many deer. 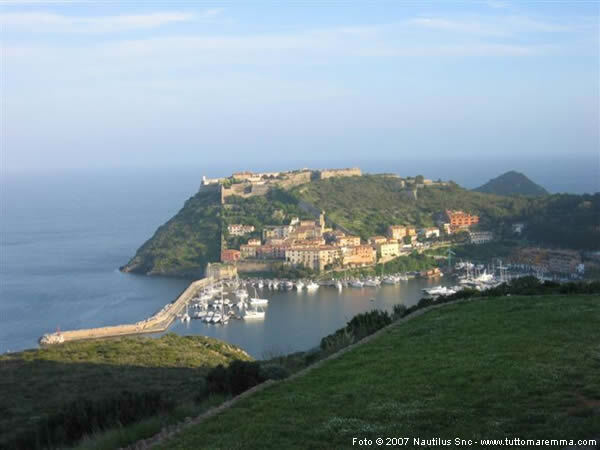 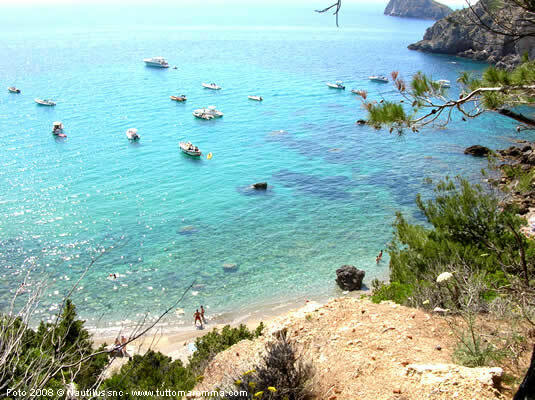 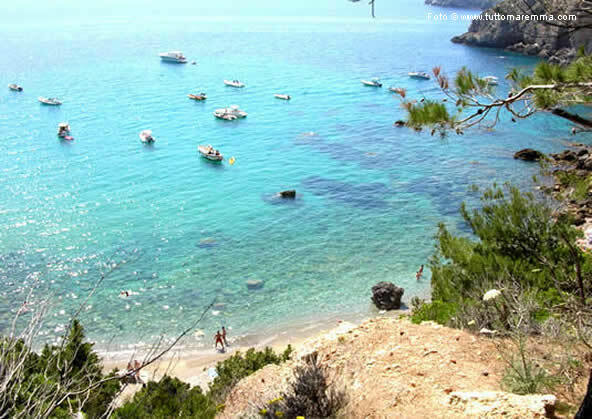 Caravaggio died of malaria in Monte Argentario - Porto Ercole (Tuscan coastal town) in 1610 and he was buried there. 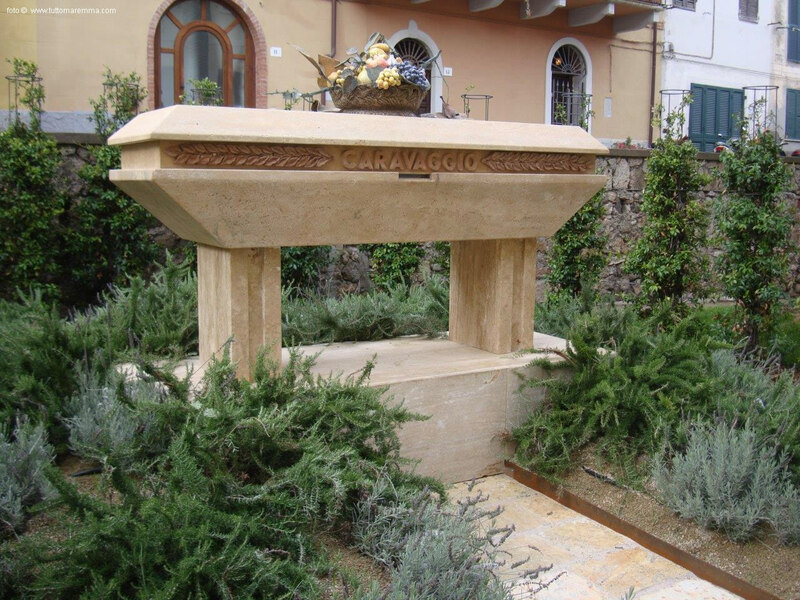 After a year-long investigation, italian researchers have identified Caravaggio's bones and now are exposed in a ark at the junction of Via Nuova and Via Principe Umberto. 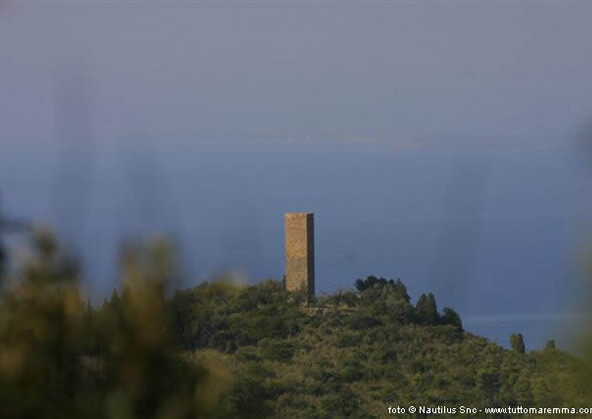 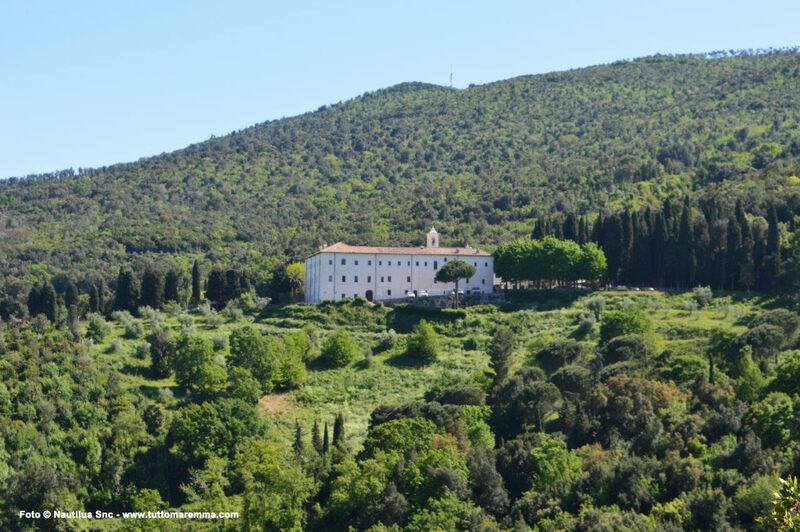 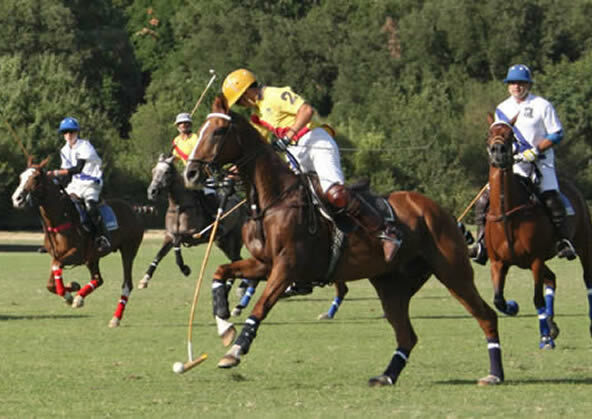 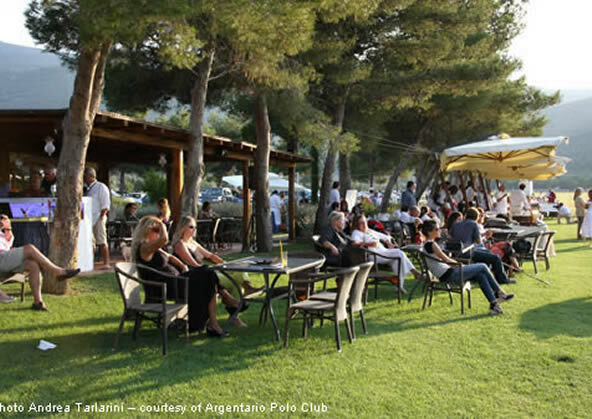 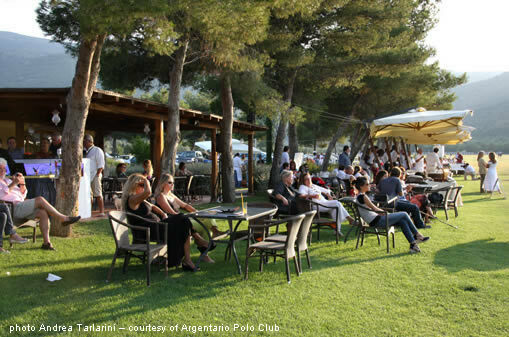 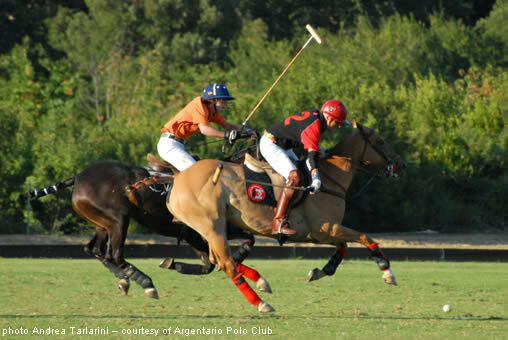 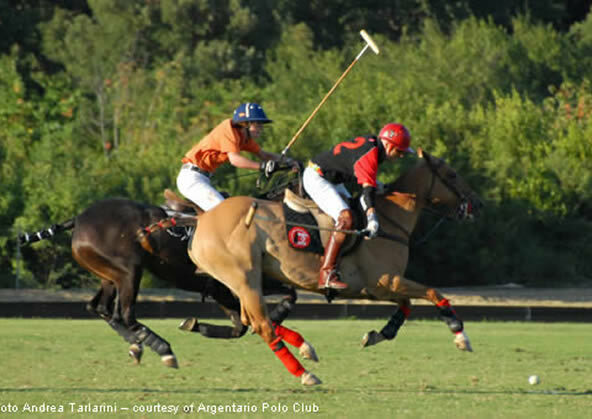 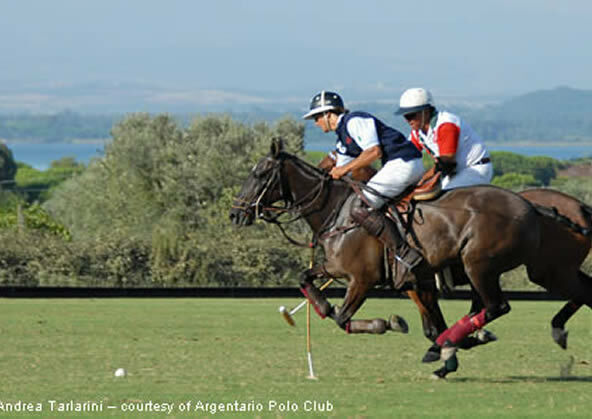 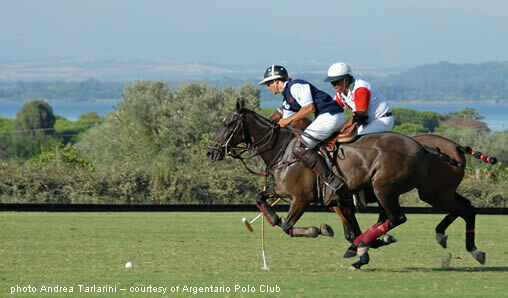 Argentario Polo Club located in località Le Piane in a beautiful frame setting by the sea.